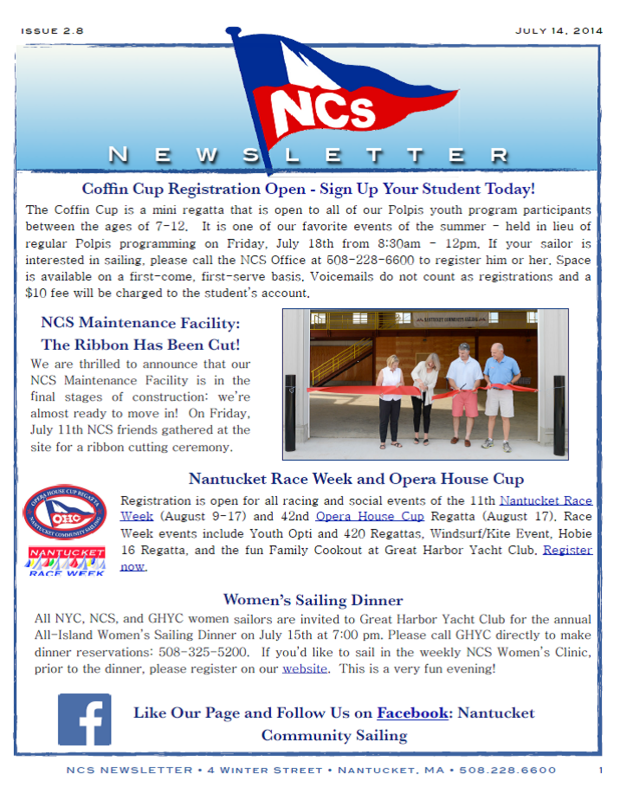 The July 14th NCS Newsletter is in! COFFIN CUP REGISTRATION IS OPEN! NCS Maintenance Facility: The Ribbon Has Been Cut! Photos: Teen Green Sailing on "Dolphin"
Rain? Call the Student Hotline!